Home - Monexo Insights - 6 “phataka” ways to do up your home this Diwali. On a low budget! 6 “phataka” ways to do up your home this Diwali. On a low budget! Diwali is here again! You will soon get busy bursting crackers, lighting diyas and decorating your home with flowers and colourful rangolis. That’s the best way to welcome prosperity isn’t it? Diwali is the ideal time for renovations that add huge servings of positivity to your home. Here are a few easy tips on festive home renovation. 1. Light it up! And go energy efficient too. Warm, yellow lights are synonymous with the ambiance of Diwali. Apart from lighting up your home with diyas you could also replace old light fixtures with new energy efficient bulbs. Energy-efficient LED bulbs that emit the traditional warm glow are now available in market so you can light up your home with incandescent hues without worrying about energy wastage. Ever thought of hanging a chandelier to create an interesting and warm focal point? Why not do it this Diwali. Chandeliers come in all sizes, affordable small ones too! 2. Paint it up! Even if it is only your living and dining room! Diwali season is a great time to refresh your home with a fresh dab of paint. It’s just the time to experiment with colour. You could do it just for the interiors or maybe just for the living and dining areas, for this season. Many companies help you choose the perfect colour for your walls by offering personalised options. Choose some shades that you have never tried before. The only thing you need to keep in mind is the size of your room – small rooms can do with lighter shades. If you must use dark shades, make them accents or slash them on bigger rooms. 3. Rearrange furniture and add curios to your decor. Rearranging your furniture and adding a few complimentary pieces can change the personality of your home easily and without much effort. First take a look around your home and see if you can place your furniture differently and still remain comfortable with the space. Next see what pieces of furniture can be added to make the room more comfortable and welcoming. A side table? A painting? A wall hanging or area carpet? Or should that be a cabinet to add more character to the room? See, it’s that easy. 4. Invite nature indoors! Make way for plants in your home. – these days, the markets offer a variety of display units for plants. You could take the nature theme further by bringing home a fish tank and a school of some colourful fishes. Ever thought of that? 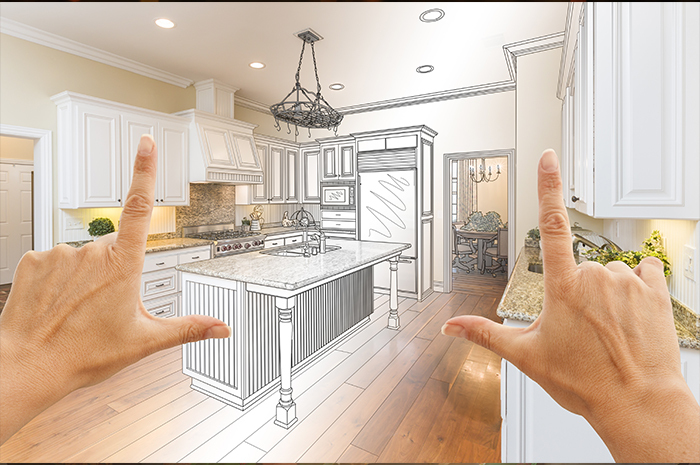 Let home renovation, this season or any other, NOT be a “how can I make it possible” question. Monexo is now in India with quick and easy loans on offer. As a peer-to-peer lending marketplace that is completely online, and completely confidential, your loans will be processed in the quickest time and you’ll enjoy the best interest rates in the market today. Go on! Make this Diwali a truly happy Diwali.